A five-year programme of energy efficiency upgrades to council houses in Herefordshire has passed a major landmark, with 500 Cornish-type homes having ‘significantly improved’ energy efficiency thanks to insulation. SuperFoil Insulation is working with Merriman Roofing and Herefordshire Housing Association, part of Connexus, on a major project that aims to upgrade the energy efficiency of the association’s homes. While many of those homes are traditional units, a proportion of them are so-called Cornish-type properties which are generally poorly insulated due to their unusual roof design. The Cornish Type 1 unit is one of the most recognisable affordable housing designs of the post-war period, with a distinctive Mansard roof which covers the second storey of the property. Tens of thousands of the homes were built across the UK between 1946 and the 1960s as a ‘temporary’ solution to the housing crisis. Unfortunately, the roof/wall structure makes it very difficult to significantly improve the energy efficiency of the homes using traditional materials and tools. 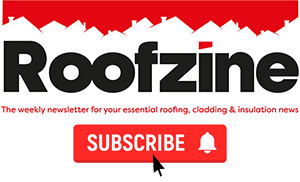 Herefordshire-based, Merriman Roofing was contracted to upgrade the association’s Cornish-type properties and the company has now upgraded 500 of the 600 houses with the help of high-performance insulation from East Midlands-based SuperFoil Insulation. It’s hoped that the remaining 100 homes can be similarly upgraded in the next financial year. Director of Merriman Roofing Contractors, Mike Merriman, said: “The primary goal is to increase the energy efficiency of the homes, and we were given the target of decreasing the thermal conductivity of the insulation in the Mansard roofs to a u-value of 0.30 W/m²K. Because of the narrow space between the interior rooms and the exterior roofing, traditional insulation that would meet this target was too thick, so we needed a more space-efficient solution. 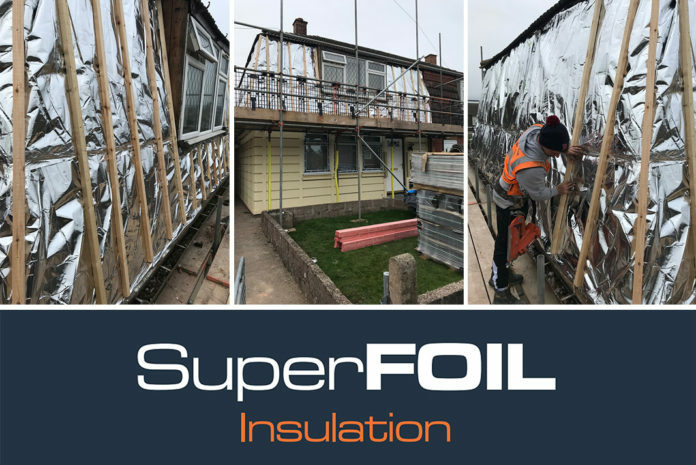 SuperFoil’s SF40 multifoil insulation was the only product on the market that could do the job and we’ve used it on every one of the 500 homes to great effect. Using SuperFOIL, we’ve exceeded our target and cut the u-value to just 0.26 W/m²K. 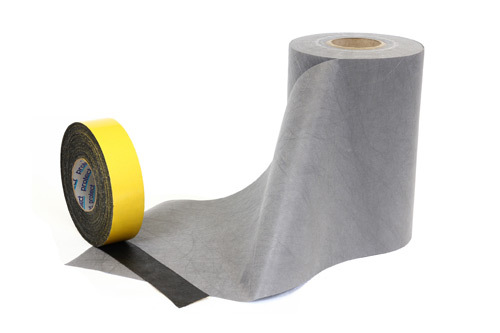 SuperFoil’s multi-foil insulation is composed of layers of wadding in between sheets of reinforced and metallised film. This enables the insulation to prevent heat radiation and create a barrier to the movement of air and vapour helping to prevent draughts and, as a CE certified vapour-barrier, help to reduce condensation risks. The company’s multi-foil products are available in a range of thicknesses. All multi-foil products are BBA accredited, made with 40% recycled materials and has a life expectancy of more than 50 years. William Bown, managing director of SuperFoil, said: “We’re really pleased that we’ve been able to provide a high-performance solution that’s gone above and beyond the housing association’s targets. Mike Merriman and his team at Merriman Roofing have done a great job installing our product and, after using three rolls on each of these 500 houses, they are now one of the most experienced SuperFoil installers in the country. 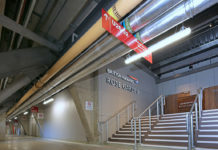 SuperFoil’s range of multi-foil insulation has been used on a wide range of restorations and new build projects including Tottenham Court Road underground station, the landmark One Hyde Park development and the conversion of a Grade II listed former police station in Conwy into a modern family home. 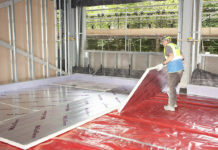 The company’s insulation is also currently being fitted to the new £165m Royal Papworth Hospital in Cambridge.